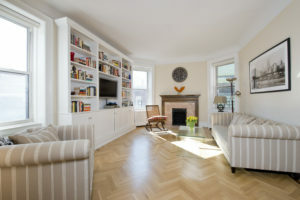 PREWAR ELEGANCE This grandly proportioned 2-Bedroom, 2-Bath apartment is a seamless blend of stunning prewar architecture and sophisticated modern updates creating the perfect Upper West Side home. Move right in to this renovated home in excellent condition with lovely prewar details throughout, including original woodwork, transom windows over many of the doors, an elegant arched doorway leading into the living room and all new hardwood floors, including stunning herringbone floors with inlaid wood border in the living room. The windowed, eat-in-kitchen boasts granite counters and island, stainless steel appliances including a vented Wolf Range, and beautifully preserved, original wooden cabinetry. Both full baths are freshly renovated; one with white subway tile, basket-weave tiled floors and a decadent deep-soaking tub and the other with white subway tile and serene sea green glass accent tiles. With no stone left unturned, your new home even includes a washer and dryer. Bright and serene, the south-facing, master bedroom boasts generous, outfitted closets and is grandly proportioned, easily accommodating a king-sized bed and even room for a desk or sitting area. 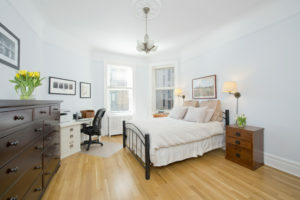 The tranquil second bedroom is spacious and features 2 closets. 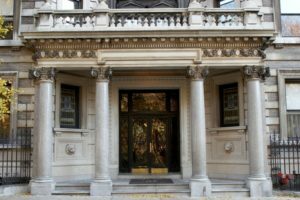 194 Riverside Drive is a coveted turn-of-the century boutique building, built by famed New York architect, Ralph S. Townsend at the turn-of-the-century. 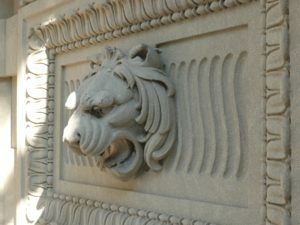 It is located on the quiet stretch of Riverside Drive between West 91st and 92nd Streets, highly sought-after for its intimate, cul de sac feel, elegant apartments, and bold Neo-Renaissance façade. 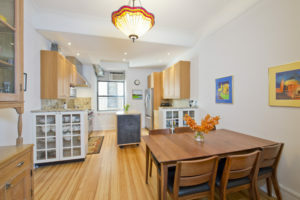 This well-maintained cooperative features a 24-hour doorman, stunning new landscaped roof deck, playroom, common laundry and bike and private storage. Pets are welcome and enjoy playing across the street in Riverside Park!